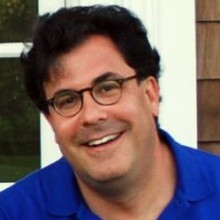 Alan H. Fleischmann is an expert in strategy, communications, brand & executive positioning, message development, reputation & crisis management, and negotiation in business and public policy. Mr. Fleischmann is a Principal of Albright Stonebridge Group (ASG), the global strategy firm, which is affiliated with Albright Capital Management, an investment advisory firm focused on emerging markets. ASG is a firm that helps clients navigate the intersection between business, trade, finance, government and civil society in some 100 countries around the world. He is also Co-Founder of ImagineNations Group, a global alliance working to create innovative, large-scale strategies that promote entrepreneurship and employment opportunities for young adults worldwide. Previously, Mr. Fleischmann served as a Staff Director of the Committee on Foreign Affairs of the U.S. Congress, and as Chief of Staff to Maryland Lt. Governor Kathleen Kennedy Townsend, where he also served as a member of the Governor’s cabinet. He has been Senior counselor, and previously chief marketing officer, of PSB Associates, the strategic communications firm. Mr. Fleischmann started his career at the Chase Manhattan Bank in Latin America, and as a graduate of the Chase Senior Management Training Program, before becoming the founding Vice President of LATCORP Inc (Latin American Trade Corporation). In 2011, Mr. Fleischmann was appointed by President Obama to serve as a Member of the White House Commission on Presidential Scholars. Also in 2011, the Obama Administration appointed him to serve to the Industry Trade Advisory Commission (ITAC) and as a delegate to the Presidential Summit on Entrepreneurship in 2010. Mr. Fleischmann serves on the Board of the Johns Hopkins University School of Advanced International Studies (SAIS) and as Chairman of the Dean’s Council of the School of International Studies at American University (SIS). During the historic period of the fall of the Berlin Wall, Fleischmann worked for former German Chancellor Willy Brandt’s foundation and in the German Parliament, after being awarded a Bundestag Fellowship at the Friedrich Wilhelms Universität. Mr. Fleischmann is an original member of the Clinton Global Initiative (CGI) and serves on the Leadership Council of the Robert F. Kennedy Center (RFK Center). He is also a lifetime member of the Council on Foreign Relations and a Board Member of the Atlantic Council. Mr. Fleischmann is a member of the Global Philanthropists Circle (GPC).